Pediatric dentistry is specifically designed to ensure the youngest members of your family maintain optimal oral health. This branch of family dentistry focuses on the proper development of baby and adult teeth along with regularly scheduled professional dental cleanings. During your child’s regularly scheduled visits we will also provide age-appropriate education, empowering them to maintain peak oral health at home. Hayward family dentist Dr. Gary Fong recommends brining your children in for routine visits as soon as they turn two. These visits help familiarize children with dental offices and may be key in preventing anxiety and phobia related to dental care as your child ages. If you live in or around Hayward, California and are looking for a friendly and welcoming family dentist, please contact Gary G. Fong, DDS online or call 510-582-8727 today to schedule an appointment. Dr. Fong strongly believes in empowering children to take charge of their dental health, but understands the necessity of parental involvement as well. While these treatments are specifically designed to meet the oral health needs of children, no pediatric services are ever performed without parental consent. Dr. Fong will happily discuss his recommendations and answer any questions you may have about your child’s oral healthcare during your regularly scheduled dental visits. We understand the scheduling demands of today’s busy families are happy to offer conveniences such as extended office hours and multiple family member appointments. Please let us know if you require special accommodations so that we may better serve your family’s particular needs. To learn more about our pediatric services, please contact our experienced Hayward family dentist today. 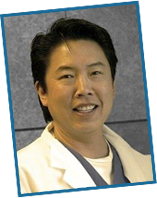 Dr. Fong serves families living in Castro Valley, San Leandro, Union City, and surrounding California communities from our centrally located Hayward office.